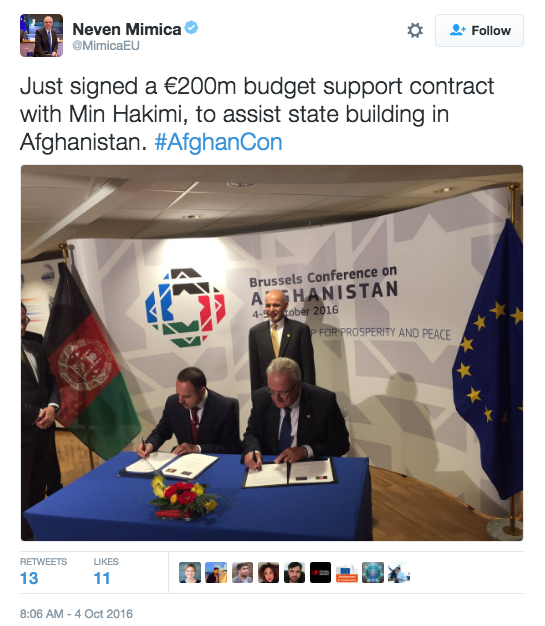 The major powers of the world met in Brussels Tuesday to discuss raising billions of dollars to invest in Afghanistan in order to keep the country running until 2020. Despite Western governments growing tired of funding the Middle Eastern nation, supporters of the E.U.-led two day conference hoped to rally up support to continue keeping Afghanistan afloat for a few more years, as well as to possibly bring peace to the region. The push to raise billions for Afghanistan is not only to aid the country financially, but to hopefully bring a peace deal to the nation which has been in conflict for decades and in turmoil since the U.S. invasion following the September 11, 2001 attacks. Though the United States helped force out Taliban leaders involved in harboring militants, Afghanistan has remained dependent on foreign aid to push back against a resurgence from the Islamic terrorist group. Diplomats from around 70 countries, including the U.S., Iran, Russia, and China, took part in the Conference. Neven Mimica, the Commissioner for the International Cooperation and Development, spoke during the signing ceremony. 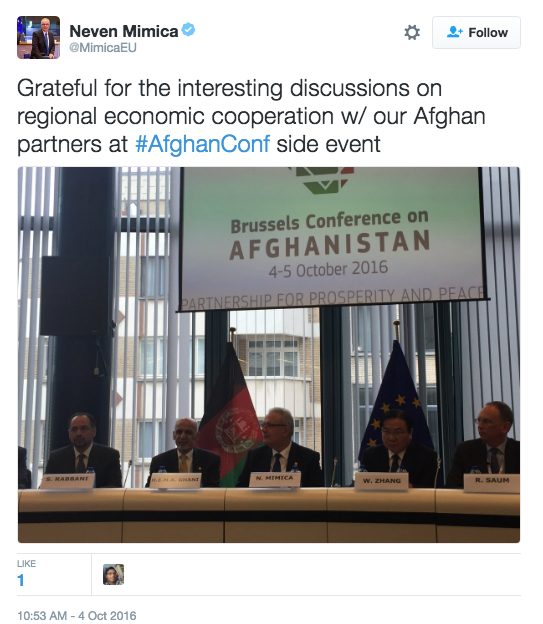 During the signing ceremony, the Minister of Finance of Afghanistan, Eklil Ahmad Hakimi, also shared a short statement. Proponents of the funding argue that a stronger Afghanistan would result in less civilians fleeing the nation and therefore less refugees looking to seek asylum throughout Europe and other Western nations.